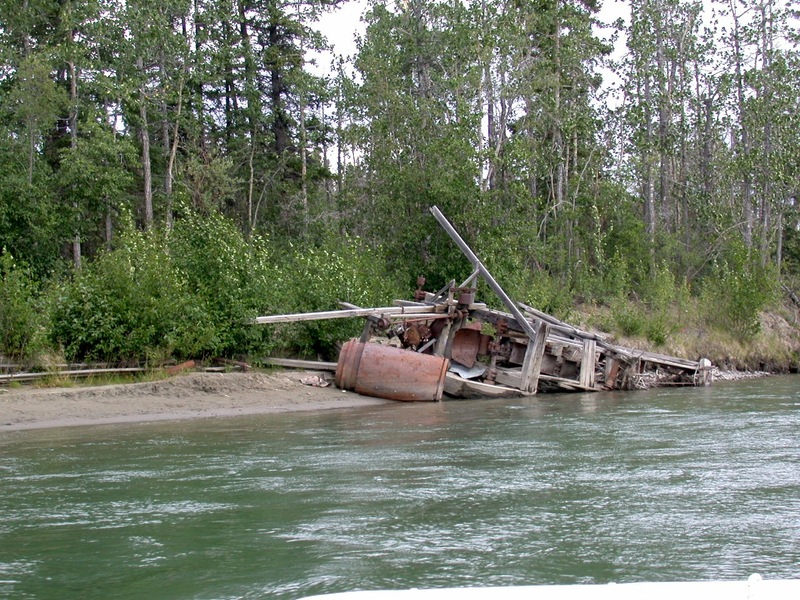 In 1940, Laurent Cyr and Boyd Gordon build this small dredge in Whitehorse, then floated it down river for a summer of gold mining. Using true Yukon ingenuity, they improvised the dredge from a stripped-down caterpillar tractor, a car motor and various home-made parts. The bucket line dug up gravel that was then screened by a rotating "trommel" and then sluiced, leaving gold-bearing concentrate. Although the partners mined 72 ounces of "flour" or fine gold from the river bars in 20 days, they did not return the following season and the dredge has remained here ever since.